Hours: on call 24 hours. Q: Who is the coroner? A: The Cassia County coroner is an elected position. The coroner is elected every four years. The coroner serves to investigate deaths under certain circumstances, which are defined by Idaho code. The coroner determines in each of those cases the cause and manner of death and, if necessary, holes and inquest to determine the facts as to how, when, where and by what means the deceased came to the death. Q: Why is the coroner called when death is due to natural causes? Under title 19, chapter 43, section 4301, of the Idaho code the coroner as soon as he is informed that a person in his County has died shall go to the scene of the death and take charge of the body. An investigation into the events leading up to the person's death shall commence in cooperation with the appropriate law enforcement agencies. The coroner may authorize an autopsy to be performed by a licensed physician in the state of Idaho to aid in accurately and scientifically determining the cause and manner of death the coroner shall also prepare a written report of the factual information gathere during the course of such an investigation. Q: Who calls the coroner? A: Any person who believes that a death has occurred under the circumstances set up the Idaho code must immediately notify the corner. 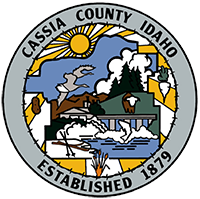 In Cassia County this is done by dialing 911 and giving the information to the Sheriff&#39;s office dispatch. They will in turn dispatch the coroner and law enforcement. Q: Why do police investigate? A: Because the Sheriff's Department response to all emergency calls in Cassia County, they are often the first on the scene. Their special training and expertise enable them to gather information provide services which allow the coroner to carry out as thorough an investigation as possible. Q: How can I obtain information? A: When an investigation is complete both through the coroner's office and the Sheriff's office, the coroner may provide a copy of the coroner's investigation report, upon written request, to the immediate family (spouse, parent, child, brother, sister) or personal representative. The investigation reports are subject to public view and do not include protected health information and reports or documents obtained from other agencies. Q: How to attain a death certificate? A: Generally, the funeral home handling the funeral services will provide a death certificate. A family member may also contact the Idaho state Bureau of vital statistics office and request one. There is a fee for each copy obtained. Q: Is consent required for a medical – legal autopsy? A: No. Autopsies often help answer questions regarding hereditary aspects of diseases, and the findings can have important implications for estate and insurance purposes. An autopsy also prevents anxiety from not knowing what actually causes death. If there are objections the coroner will explain the need for the autopsy, but consent is not required. Q: Is an autopsy required in every case? A: No. The coroner's train and has experience which enables him to decide if the findings required by law can be determined without an autopsy. Q: Who performs the autopsy? A: The coroner directs qualified specialist in pathology, preferably a board certified forensic pathologist, to conduct the examination and may request special examination of particular organs or fluids by other experts. Q: When an autopsy delays funeral arrangements? A: In general the answer is no. However, if there is a portion of the investigation, for example identification, which may cause delay, your funeral director will advise you as to the timing of viewing arrangements, etc. Q: What organs can be donated after death? A: The organs or tissues in greatest demand our eyes, kidneys, liver, joints, long bones, vascular tissue, heart, heart valves and skin. Consent for removal is required and must be made immediately. Time is of the utmost importance for retrieving tissue. The Idaho drivers license contains a checkbox for organ donation, or next of kin may also give consent for donation. The Idaho State Coroner’s Association is proactive with multiple organ donation agencies and works to help in the procurement of donations. Q: Will there be an inquest? A: Inquests are held on all persons that had been involved with the law enforcement officer at the time of his or her death. Inquest can also be held at the coroner's discretion. The coroner may hold an inquest when certain circumstances relating to a death need to be brought to the attention of the public, or when the identity of the deceased, the date, place or cause of death has not been established or when it is unknown how a death occurred. The coroner, prosecutor and law enforcement officers involved in the case are all involved in the decision for an inquest. Q: If there is an inquest as the family have to attend? Q: How does the coroner obtain medical information? A: The coroner may use many different methods when determining the cause and manner of death. This includes medical records from physicians, hospitals, and other healthcare facilities. Federal code 40 5C. F. R. 164.513 (G) and Idaho state statute 19 – 4301 concerning protected healthcare information specifically indicates that protected healthcare information can be disseminated to the coroner's for the purpose of aiding an investigation into the cause and manner of death and to assist in the identification of the deceased. Although these records are placed in the case file, they are not subject to public view.